Nature ushered in springtime with a significant snowstorm in the eastern part of the United States. 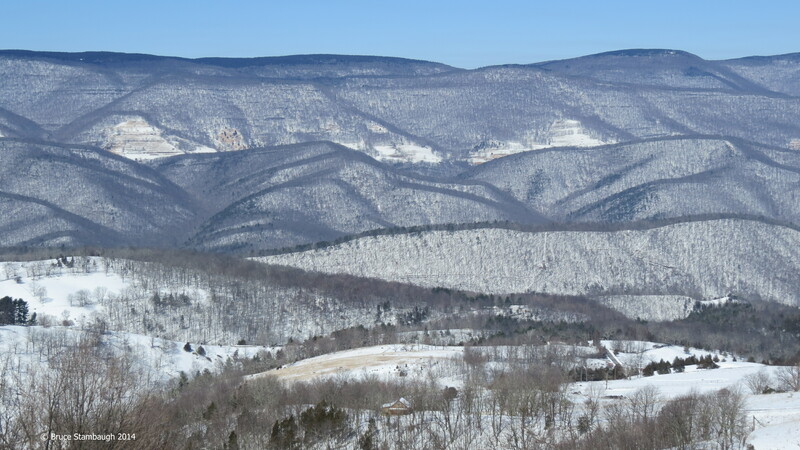 We received at least seven inches of heavy, wet snow in Rockingham Co in Virginia’s Shenandoah Valley. Though I would have preferred a warmer welcome to spring, the storm beautifully blanketed the landscape far and wide. In this photo, the tree-studded Allegheny Mountains of eastern West Virginia show the stunning results of a substantial March snowstorm. “Snow on the Mountains” is my Photo of the Week. Please note that by liking this post, I am liking your writing and you personally. I am not liking the snow. Thanks, Carol. I’m sure the snow won’t take it personally. Love the photo, i miss Shenandoah, thanks for sharing. Thanks, Louis. Was The Valley your home? No, just hiked and camped it with my son. The pinebarrens of nj is my home. Lovely photo and I’m always amazed how the snow traces the patterns of the lay of the land, and also how it makes the mountains appear bigger and more prominent, I think. Thanks. I can’t decide if the snow makes the mountains look bigger than they are or if it shows just how big they are, where the forest in leaf hides that.